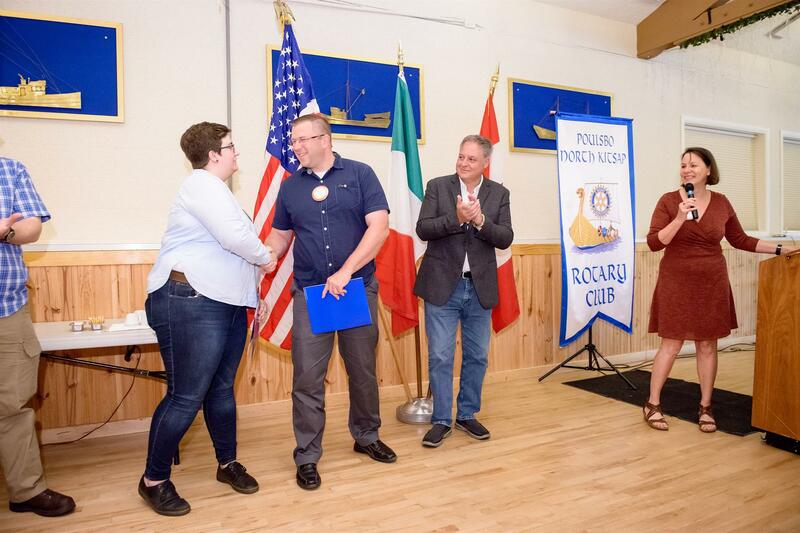 New Members of Poulsbo Rotary: Devyn Newcombe and Jim Gillard. Welcome! 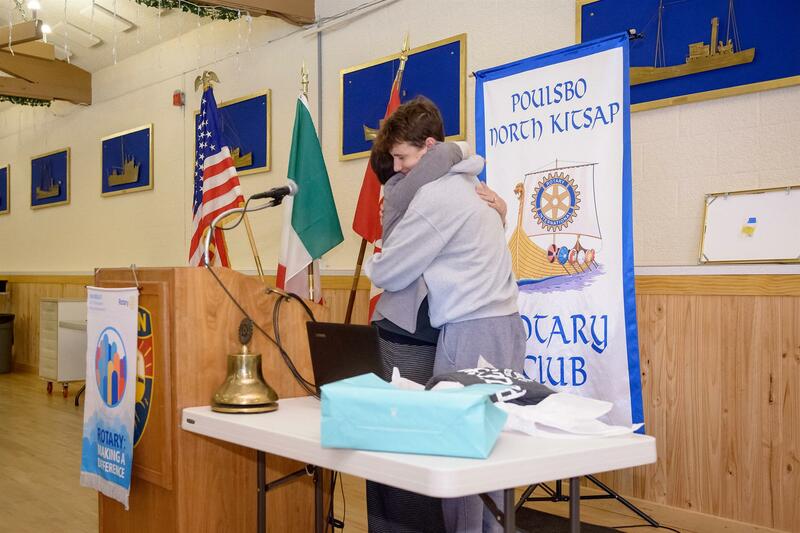 President Michele shared a retrospective of her Rotary year, reminding us exchange student Giacomo “Jack” Battu speaks Italian, English, French, and Smart Aleck! 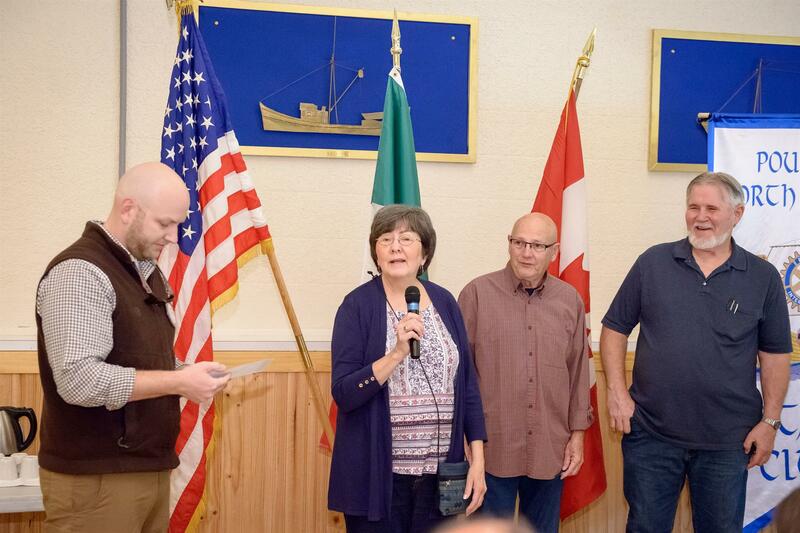 A Paul Harris Fellowship was awarded to Mike & Barb Danford of Kitsap Physical Therapy, a community-oriented business serving Kitsap County for 40 years. 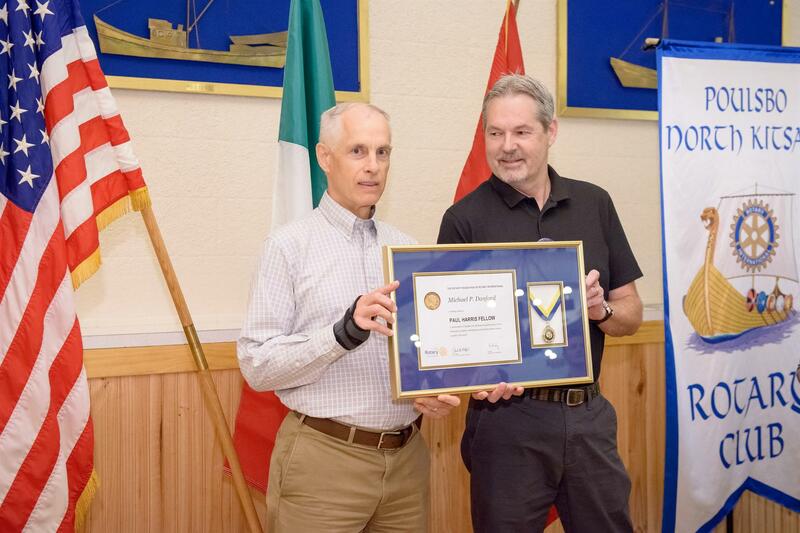 These awards, given in the name of Rotary Founder Paul Harris, represent a donation of $1000 to the Rotary Foundation, the charitable non-profit of Rotary International. 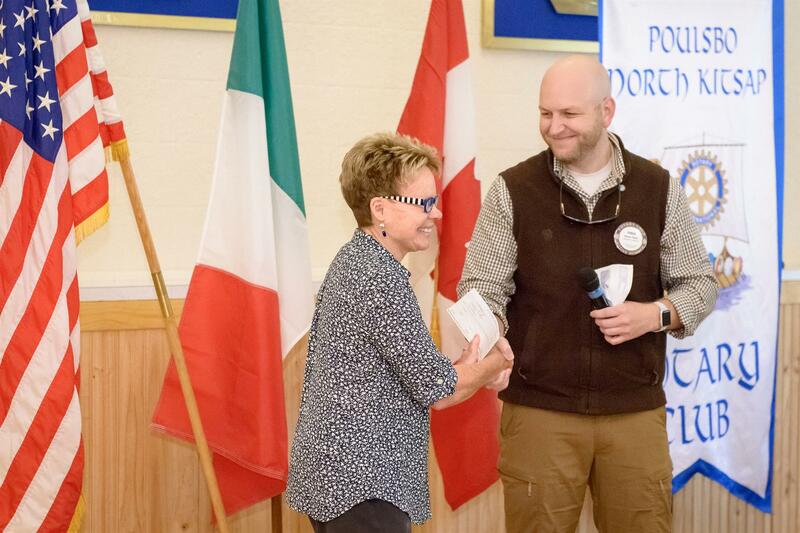 In this case the club has "donated" on behalf of outstanding community members to recognize their contributions to the ideals of Rotary. Leonard is in his fifth 3 year term as chairman. He shared some historical facts about Suquamish tribal history in the Kitsap area. Some of the tribe’s accomplishments are the 9th Circuit Court’s order to rebuild culverts to preserve water quality and salmon runs, recent water quality decisions, and resident killer whale restoral through efforts to increase salmon populations, water quality, and keeping boats away from feeding whales. 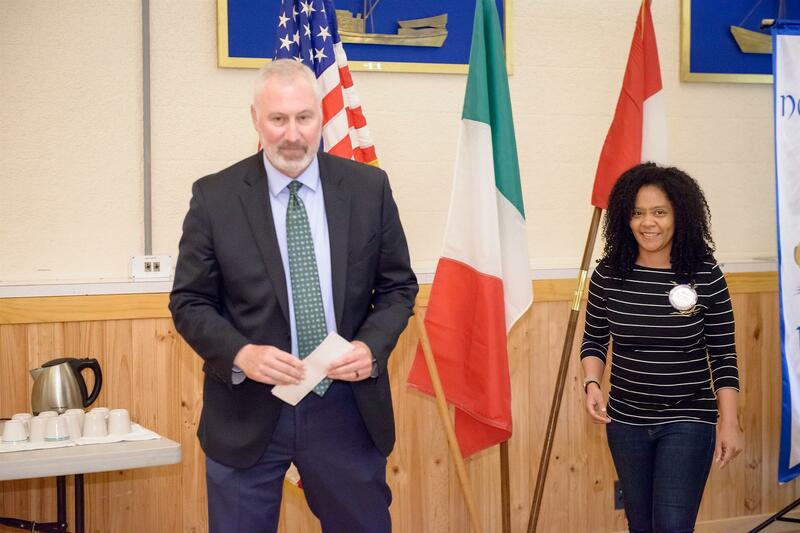 Other activities include growing the Chief Kitsap Academy, and continuing the growth at the casino and golf course. A separate management runs the Enterprise businesses of the casino and golf course to keep them separate from political issues. 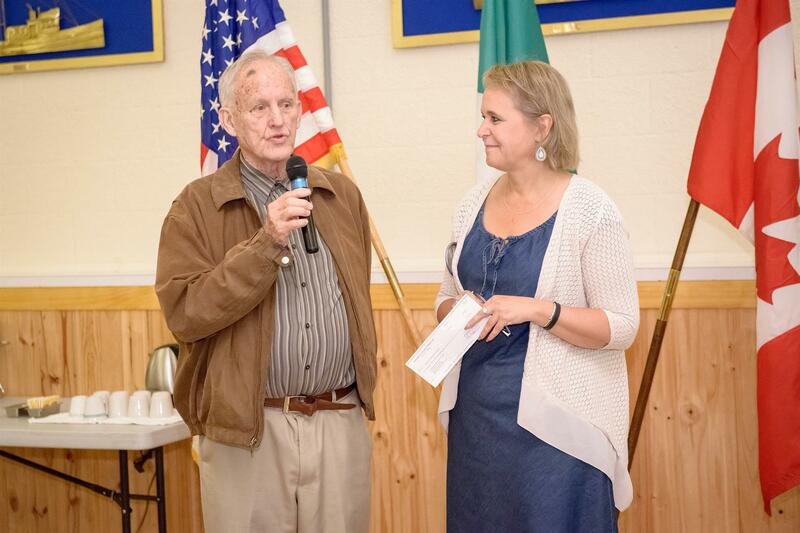 The Suquamish run a Foundation with interests similar to Rotary’s: helping the elderly and helping the community. Among the tribe’s priorities are protecting Treaty rights, community relations, Government to Government politics and relations, preserving the orca and salmon populations, and improving storm and waste water quality throughout the Puget Sound area. Leonard believes that the Suquamish tribe’s biggest challenge is protecting Puget Sound water quality and habitat, not just in Kitsap County but around the Sound. He is also concerned about the new trade tariffs: the tribe has 25 to 30 clam divers harvesting clams that are shipped to China. The Rotary International slogan for 2018-2019 is “Be the Inspiration”. 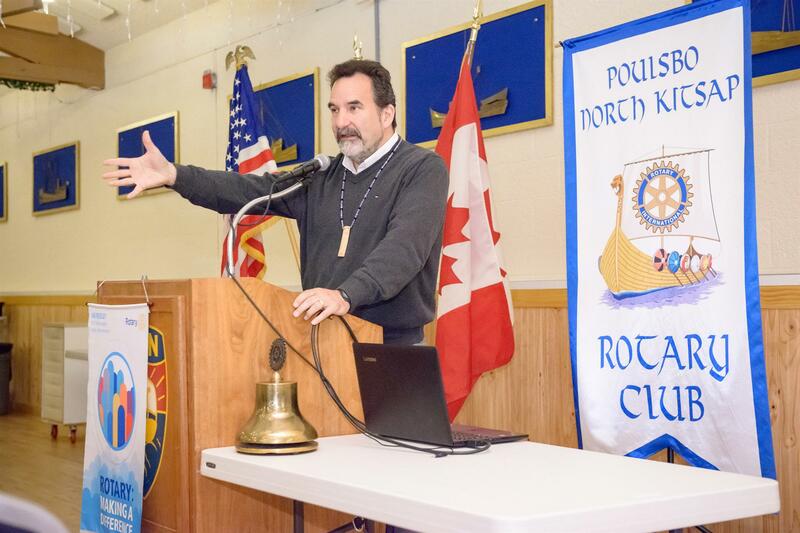 Tim 's slogan for Poulsbo Rotary is” Service Inspired”. His objective for the year is to start up a Rotaract Club for Poulsbo.